Offering you a complete choice of products which include oxygen gas analyzer, ppm oxygen sensors b2c/to2-1x, percentage oxygen gas sensor b1c/po2-1x, oxygen monitor for aerospace & autoclaves, oxygen monitor for ice cream freezing and dual o2/co2 monitor. 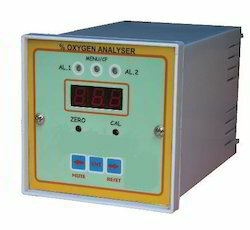 Being one of the leading manufacturers and suppliers of this impeccable range of Oxygen Gas Analyzer, we never compromise with the quality we offer. Thus we engage in the utilization of high grade raw materials and modern machines, in accordance with the set industry norms and guidelines. Owing to this, the product’s functionality and precision, is quite high. Priced at the most reasonable rate possible, the offered PPM Oxygen Sensors is known to be amongst the finest that are available in the market. Manufacturing of this range done, following the set industry norms and guidelines, its standard of quality never deteriorates. In addition, its performance, strength, user friendly nature and functional life, is owed to the finest raw materials applied in its making. In order to provide maximum satisfaction to our clients, we engage in the utilization of high grade raw materials and modern machines, for manufacturing this impeccable range of Oxygen Sensor. Owing to this, the offered product is known to have a superior performance, precision, strength, capacity and impeccable service life. In addition, the offered product is reasonably priced. Why an Oxygen Monitor may be Required for Safety? In many industries, including aerospace, autoclaves play an important role in the manufacturing process. Key components of aerospace systems need to be put under an intense pressure and temperature during their formation; at present, an autoclave offers the best and safest way to do this. However, the manufacturing process usually uses nitrogen to create high levels of pressure in the system and to sweep away off-gases created by the composite curing process. If a component malfunctions, this nitrogen could escape into the workroom and pose a health hazard. Learn more about how autoclaves utilize nitrogen and how an oxygen monitor may be required for employee safety. When composite parts are created and cured, the pressure in the autoclave environment puts them into a situation where they become highly flammable due to increased pressure and temperature inside the autoclave. Once cured, these parts are safe and do not pose a fire risk. However, during the curing process they could combust if the right conditions prevailed – namely, if oxygen were introduced. Nitrogen is favored for use in autoclaves since it is inexpensive to buy and is inert, thus will not catch fire. Nitrogen can safely remove these off-gases and reduce the risk of fire. However, the use of nitrogen in the autoclave brings about another set of challenges. Nitrogen must be kept in the autoclave and safely vented outside the room, since nitrogen creates an oxygen deficient environment when it mixes with pure O2. Even though autoclaves are subject to strict regulations, have built-in safety redundancies, and are generally considered to be very safe, accidents can still occur. One small step you can take to protect workers and prevent a tragedy from occurring is to invest in an oxygen deficiency monitor. If the nitrogen were to escape from the autoclave during the manufacturing process, it could actually deplete oxygen levels in the room. When oxygen levels go down, workers can have a difficult time getting enough air to breathe and may become dizzy or lightheaded as a result. Nitrogen has no odor or color, so these minor physical symptoms are the only clue staff may have that there is something wrong. As nitrogen escapes it creates an oxygen deficient environment. When there is not enough oxygen to breath, your employees can suffocate and die in a worst case scenario. To keep your employees safe, you must make sure that all equipment is working properly by scheduling regular autoclave inspections and performing routine maintenance as scheduled. Additionally, invest in oxygen monitors in any area where you use autoclaves. These O2 monitors offer a simple, cost-effective way to keep track of oxygen levels in the room 24/7. An oxygen sensor or O2 monitor takes regular readings of the oxygen levels in the room. When oxygen levels are within the normal range, the monitor continued to function. If oxygen levels fall below the safest acceptable level, the monitor lets off an alarm that tells staff that there is a problem. Employees can then exit the room and avoid being exposed to an oxygen deficient environment and suffering grave and potentially fatal health problems. Our oxygen sensors are guaranteed to last for a period of 10 years, thanks to their hardy zirconium construction. Whereas other types of oxygen deficiency monitors require regular calibration and maintenance, our products are reliable, guaranteed to perform over a test of time, and do not require staff maintenance. Liquid nitrogen is a powerful and potentially dangerous form of nitrogen that freezes the water content of food and beverages within seconds. Ice cream manufacturers have developed new efficiencies in the ice cream freezing process by adopting liquid nitrogen to improve the workflow and quality of the finished product. Unfortunately, liquid nitrogen can actually be dangerous if it is not handled properly. If some of the nitrogen remains in the product either as a gas or as a liquid, it can cause serious internal damage. In addition to its popularity in the ice cream manufacturing business, liquid nitrogen has become a popular tool in high-end restaurants and bars. Chefs and bartenders use the substance to flash-freeze items and create a unique display of fog as the liquid nitrogen is exposed to air. When everything works properly, the liquid nitrogen is not a hazard. However, the substance can cause significant harm if it is not properly handled in the kitchen, or if some of the liquid nitrogen escapes into the atmosphere and turns to gas. As the BBC reported, a British teen had to have her stomach removed after she drank a cocktail that contained liquid nitrogen, and a lab worker died of asphyxiation after a liquid nitrogen spill in the lab. Liquid nitrogen is colorless, tasteless and odorless. It is also extremely cold, with a temperature of -321 degrees Fahrenheit. If your workers accidentally get liquid nitrogen on their skin while manufacturing ice cream, they will suffer severe burns. If some amount of the nitrogen remains in the finished product, and customers actually eat the ice cream, it can cause esophageal and stomach tissue to freeze. This is extremely painful and highly dangerous. Now that we’ve explained some of the risks of liquid nitrogen, we hope you are aware of the significant danger that it can pose to your staff and your reputation in the marketplace. Luckily, there are safeguards in the process that can make sure your staff are not unduly exposed to liquid nitrogen, spills are noted before they can cause damage, and no trace of liquid nitrogen remains in the final product. When nitrogen becomes loose in the atmosphere, it creates a state of oxygen deficiency. When there is not enough oxygen in the room, workers will not be able to comfortably breathe. If this continues, there will eventually not be enough oxygen for your workers and death by suffocation can occur. Since liquid nitrogen has no odor or color, workers may not notice its presence until it is too late. That’s where an oxygen sensor comes in. An oxygen sensor or O2 deficiency monitor is able to track the oxygen levels in the manufacturing plant at all times, even when temperatures fluctuate. The O2 deficiency monitor takes regular readings of the oxygen in the environment and notices if the oxygen level drops in the building. The sensor then notifies employees that there is a problem, giving staff enough time to evacuate the premises before anything bad can happen. 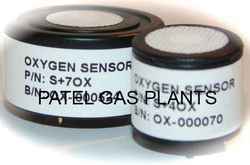 Our Oxygen deficiency monitors use zirconium sensors. These perform well regardless of environment humidity and are guaranteed to last for 10 years or more. Compared to other types of O2 sensors, which are not able to last as long and require maintenance and calibration to continue to work, our this monitor and sensors offer the unbeatable combination of reliability and performance. This duel sensor monitor is designed for use in areas containing Helium, Argon, and/or Nitrogen, that contain CO2 as well. It includes all of the top of the line features of our air check oxygen deficiency monitor, though it monitors the level of CO2 in the room as well. It is ideal for use in environments such as breweries, beverage or other bottling plants, pharmaceutical manufacturing facilities, or grow rooms. This monitor contains a 10+ year zirconium oxide sensor. The Dual O2/CO2 Monitor is a compact gas monitoring system that’s ideal for the continuous monitoring of both gases simultaneously in N2 gas storage areas, CO2 beverage gas distribution areas, confined spaces, and other locations where low oxygen levels may pose a hazard to personnel. 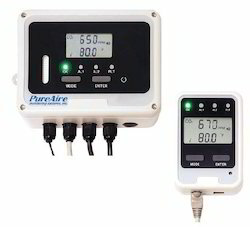 Unlike continuously depleting electrochemical sensor cells, the PureAire Dual O2/CO2 exclusive zirconium cell and patented NDIR cell provide stable oxygen and CO2 readings even in areas where temperature, barometric pressure and humidity levels are changing. The Dual O2/CO2 oxygen sensor requires no quarterly calibration or annual maintenance and the CO2 sensor automatically adjusts to ambient levels. Just plug it in and leave it alone. Analog Output Analog 4-20mA output, selectable for either Oxygen or CO2. Optional 0-5 VDC output for CO2. Required calibration None for Oxygen. None for CO2 when Auto Cal function is activated. This CO2 staorage safety analyzer is specially designed to protect people who work near CO2 stored in closet and confined room. At hig level, CO2 can result in problem ranging from headache and fatigue to asphyxiation and even death. CO2 alarms are critical in breweries, wineries, beverage dispense areas, restaurant, Fast food establishments, dry ice storage, CO2 storage tank, Laboratories or any where where CO2 stored or produced. CO2 storage safety alarm has both an audible and flashing visual alarm when CO2 concentrations reach a preset limit. 2 built in relay can be used to control a ventilation fan and an HVAC control alarm to notify maintenance staff off-site of high CO2 level. Best of all, CO2 safety analyzer is easy to install and use. Simply mount units on the wall (all the cables and hardware included), plug the display unit in to a standard wall jack and alarm is ready to protect you, your family and your employee. When it comes to oxygen deficiency monitors, we makes the longest lasting units on the market. They believe your safety should not be taken lightly, and have created a reliable and affordable monitor that will outlast all of their competitors. Our Monitoring Systems has broken away from the norm of using disposable sensor cells, and has introduced the groundbreaking technology of a 10+ year maintenance free sensor. Disposable sensor cells have been an international standard in oxygen monitors for decades, but they are far from ideal. They require frequent maintenance and monthly to quarterly calibration, which can be costly. Without calibration, false alarms will occur, or worse, a failure to alarm in the event of oxygen deficiency. The reliability of these disposable sensors can even be affected by changes in barometric pressure. Our Monitoring Systems has come up with a unique product to solve these problems. Their oxygen deficiency monitors include a Zirconium Oxide sensor, which lasts for 10+ years. This sensor is not affected by barometric pressure, and never needs to be recalibrated. This means that it will continue working without flaw toward keeping you safe over many years. With over 4,000 units in the field, Our oxygen deficiency monitors continue to gain popularity and support amongst its users. No maintenance means no hassle, and more time to focus on your work while continuing to stay safe. 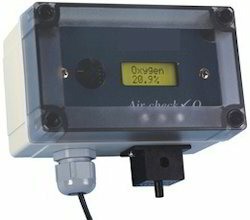 oxygen deficiency monitor is perfect for facilities using nitrogen, helium, and argon. 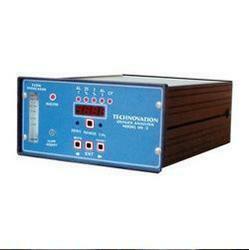 The monitor is also suited for use in confined spaces, cryogenic facilities, and freezers. The monitor remains accurate at temperatures as low as -40C. 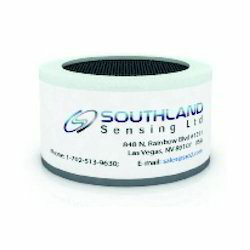 Our long lasting zirconium oxide sensor lasts for 10+ years. 3D printing is officially skyrocketing, with industrial applications in medical, biotech, aerospace, defense, and consumer electronics industries growing daily. At the heart of this acceleration is the additive manufacturing or AM process, which allows for easy printing from computer-aided design templates. As this new technology reaches its tipping point, review what the growth process says about the safety of 3D printing. n the 3D printing process, the printer deposits layers one at a time, essentially building up the prototype before bonds the layers together. In the laser sintering process, a special laser melts and fuses the layers together, to bring the design to life. Because employees can make changes to the prototype between items, it is relatively easy to make changes to the item color, size, or shape from one printed item to the next. This makes it possible for individual medical devices or accessories to be printed from a select stock of computer-aided design (CAD) templates. While it may seem like a safe process — and, indeed, the end result is quite safe — 3D printing does utilize some potentially dangerous materials. Argon gas is particularly common in certain types of 3D printing. In the printing process, the 3D printer deposits thin layers of powder to effectively build the form that is being produced. The argon gas allows the different layers of powder to fuse together during the laser sintering, bringing the product to life in three dimensions. Argon is relatively inexpensive and highly effective at this task, which accounts for its widespread use in this new niche. However, argon is also a dense gas that is naturally heavier than oxygen. Were argon to escape from the 3D printing environment and enter the workshop or manufacturing floor, it would deplete the oxygen in the room. Any staff working there would thus face death by asphyxiation. Since argon is colorless and odorless, there is no easy way for staff to tell there is a problem. As 3D printing becomes more widespread, businesses must take the appropriate safety measures to ensure a safe working environment. They must inspect printing equipment to ensure that it is functioning properly and argon will remain contained in the printer. They must also introduce safeguards to protect staff in case of a malfunction. One simple and cost-effective solution is to install an oxygen monitor, which is also known as an O2 monitor. This type of sensor continually monitors the levels of oxygen in the room. If oxygen levels falls below the critical safety levels, such that employee health would be threatened, the oxygen monitor sounds an alarm to alert staff to the health threat. Staff can then evacuate immediately, and appropriate measures can be taken to secure the workplace environment and protect the printing technology. Helium gas is something most people feel fairly familiar with. Children are enthralled with the magical beauty of a floating balloon, watching it reach toward the sky and hoping not to lose their grip on the string. Helium feels safe, and while people surround themselves with flying wonders filled with this lightweight gas, the real magic of helium is taking place in MRI rooms across the globe. With this magic, though, comes some danger. Magnetic Resonance Imaging (MRI) uses strong magnetic fields to surround the part of the body needing to be studied. The resulting images are important for diagnosis and further understanding of a problem, but it is equally important that the procedure be safe and controlled. 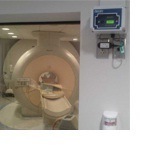 In the process of using the MRI machine, the magnet becomes superheated, and this heat needs to be kept in check. Liquid helium, at a temperature of -450° F, surrounds the magnet and keeps it cool enough to remedy the danger of overheating, in turn posing its own risk. A Helium leak would displace the oxygen in a room, suffocating anyone inside. Because it is colorless and odorless, an oxygen deficiency monitor is required for detection. A person closed inside the room would not notice the leak on their own, and it would be too late. In the event of a helium leak, an O2 monitor would sound at the first detection of oxygen displacement, warning anyone inside the room of the danger and allowing them to evacuate in plenty of time. Since the 1980’s, the number of MRI machines in use has risen from 12 to over 25,000. This in turn makes MRI machines the #1 users of liquid helium in the world. The relationship between the hot magnets and the cold helium is what makes the work of this important machine possible. With the use of an oxygen deficiency monitor, doctors and patients at least have one less thing to worry about. They can focus on the physical ailment at hand, and feel safe in knowing that in the event of a helium leak, they will be warned well before the point of suffocation. Oxygen Deficiency monitors are recommended in all MRI facilities, and are REQUIRED in MRI rooms. Our oxygen monitors are a trusted product amongst MRI designers and users, thanks to their 10 + year oxygen sensor. Unlike the competitors, our sensors do not require maintenance or replacement parts and are not impacted by environmental drift. This means no false alarms or failures due to depleted sensors. Without having a yearly service call on the monitor, the cost is very efficient. This translates to prolonged safety without maintenance, and the safest and most reliable possible monitor for this application. 2 alarm relays with signal to horn/strobe, building systems, etc. Optional remote cable to remote sensor up to 30 feet from transmitter. The Universal Gas Detector is a compact gas monitor that’s ideal for protecting workers from toxic and corrosive gas exposures in the workplace. 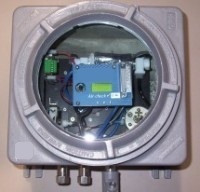 It consists of a generic transmitter/controller connected to a dedicated, renewable gas sensor that automatically inputs the gas and measurement range. 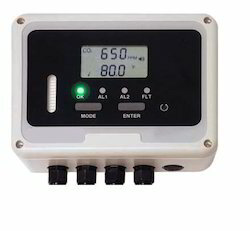 Designed as a stand-alone monitor, the Universal Gas Detector can also be connected to any programmable logic controller or SCADA system. The heart of the system is a smart renewable sensor cell that’s programmed with the specific gas and measurement range information. Simply plug the sensor into any Universal Gas Detector transmitter and it’s ready to go. When servicing the sensors, they can be recharged with fresh electrolyte and dynamically gas calibrated in the maintenance shop away from the transmitter. Available Gases ammonia, bromine, chlorine, fluorine, hydrogen bromide, hydrogen chloride, hydrogen cyanide, hydrogen fluoride, hydrides, hydrazine, nitrogen dioxide, phosphine and sulfur dioxide. Other gases available; consult PureAire. Gas concentration indicator Built-in LCD digital display, (back lit) Displays: Gas Name & ppm concentration, AL1, AL 2, System Fault messages. The Air check Advantage Ex Benzene Monitor is a compact, extractive continuous gas monitoring system designed to monitor in hazardous areas. The system uses our proprietary disposable electrochemical sensor cell combined with a long life pyrolizer to provide extremely sensitive Benzene monitoring. Unlike traditional LEL solid-state detectors, the Air check Ex pyrolizer technology is extremely sensitive and capable of detecting TLV parts-per-million concentrations of Benzene without being affected by humidity or other environmental conditions. The heart of the monitoring system is a long life pyrolizer designed to convert Benzene to an electrochemically active gas detected on PureAire’s sensor cell. The Air check Ex electronics, pyrolizer, sample pump and sensor cell are housed in a weather and explosion-proof enclosure suitable for installation in Class 1, Division 1, Group B, C, and D hazardous areas. The instrument’s “smart” circuitry continuously monitors sensor cell status and sampling system performance. Continuous sensor cell operation is transmitted via 4-20 mA signal to PureAire controllers, PLC’s or remote alarm systems. Should a system error occur, the Air check Ex outputs a 2 mA signal to remote alarm/control systems to immediately alert control room personnel. 1 Other ranges available, consult us. Looking for Gas Analysers & Sensors ?